In the post 9-11 era, it is impossible to overstate the importance of keeping US and Canadian borders and ports safe. Each year more than 12 million maritime, rail, air and road containers arrive at diverse ports of entry throughout North America requiring a safe and non-intrusive method for monitoring the supply chain, and meeting cross-border screening and detection criteria. Radical defence protection measures have been mandated by the USA across deep seaports, airports, roads and rail border entries, stipulating a requirement for 100% screening of cargo at ports and borders (a significant increase from the previous target of 3%). poses a serious challenge to commercial efficiency and efficacy. Even if it were possible to open and inspect every container passing into the US, the resulting delays at the border would have a detrimental effect on the economy. In fact, lengthy delays at the border can result in shrinking profit margins, which can in turn lead to job cuts. As Stephen Flynn, director of the Independent Task Force on Homeland Security Imperatives explains: "Security is a significant concern up and down the supply chain. Any uncertainty about the security of a shipment means shutting down a supply chain, which has economic impact worldwide." To give an idea of the magnitude of cross border commerce in the United States and Canada, commercial cross border traffic accounts for approximately $1.6 billion in revenue daily - $900 million worth of goods crosses the Ontario-US border alone. At the same time, 890 million tons of waterborne goods arrive at US ports annually, representing a value of approximately $800 billion. 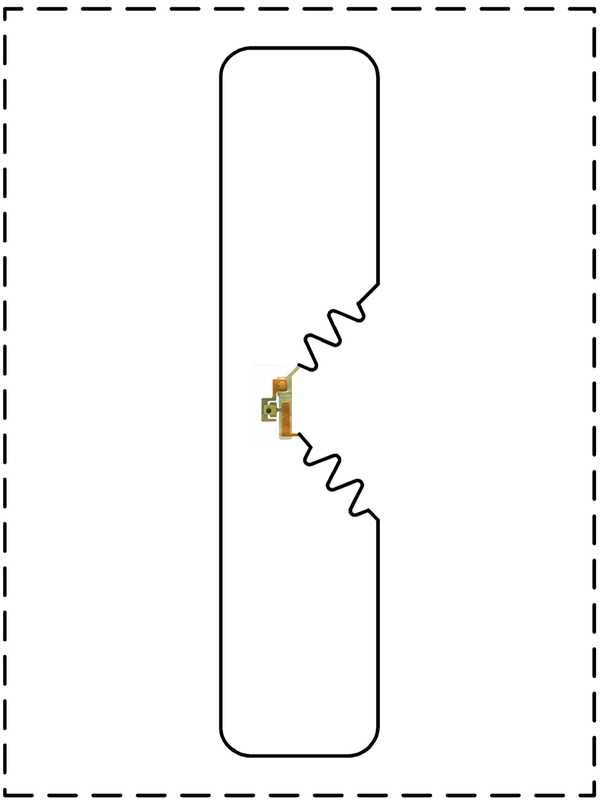 cStar Technologies Inc. has created an extraordinarily and importantly new methodology, cStar's SkyGate® Cargo Secure solution that uses cStar's 'Stealth' passive Radio Frequency Identification (pRFID) Inlays that measure dimensionally from 210mm x 297mm [Letter/A4 size] to segmented Inlays of the 20mm x 31mm range, that both 'verify' and 'scrutinize' container cargos and assets keeping shipments intrinsically safe while warranting absolute protection. Based on advanced wireless communications technology, cStar's SkyGate® Cargo Secure is effective, inexpensive and easy to deploy - in short, it's poised to revolutionize the way cross-border cargo is inspected. 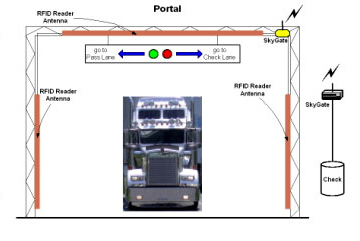 This simple and easy to implement passive RFID solution significantly reduces the time and cost associated with the manual inspection of all cross-border cargo, efficiently and accurately identifying suspicious containers early in the inspection process. cStar's SkyGate® Cargo Secure solution represents a technological breakthrough that can help governments and commercial enterprises solve supply chain security problems. Because it is impossible to open and adequately inspect every container that arrives at a port, border, or shipping waypoint, SkyGate® Cargo Secure provides supply chain stakeholders with the information they need to make intelligent risk assessments early in the inspection process. Taking advantage of cStar's exceptionally cost-effective 'Stealth' pRFID Inlays, SkyGate® Cargo Secure alerts customs inspection agents and supply chain stakeholders if shipped goods have been tampered with or subject to any other suspicious activity while in transit. SkyGate® Cargo Secure solution is an entirely feasible wide-scale investment for shipping companies, signaling a new era of technologically enhanced security. cStar's SkyGate® Cargo Secure solution entails a total evaluation means to identify containers that might pose a potential risk, providing an end-to-end clarification system that rapidly performs these assessments without unnecessarily reducing the movement of trade. cStar's SkyGate® Cargo Secure solution can immediately detect interference or intrusion using cStar's Stealth pRFID Inlay seal that comprises a wound tuned antenna portion, having one or more breakaway sections, coupled to a uniquely coded Integrated Circuit. cStar is a global provider of this unique pRFID system of Stealth modules, which is instantly capable of detecting tampering or substitution within an omni-directional detection zone and the world leader in providing purposeful ubiquitous detection anywhere within an itinerant environment of local area network coverage. 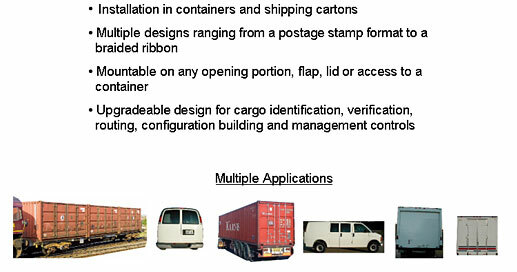 cStar's SkyGate® Cargo Secure solution technology has developed these control solutions as seen in very close collaboration with obligatory border efficiency security and intelligence, optimized and interactive with every stage of Government Fortification covering a scope and product range from small hand cartable packages all the way to over-the-road/rail and seagoing shipping container's access doors. 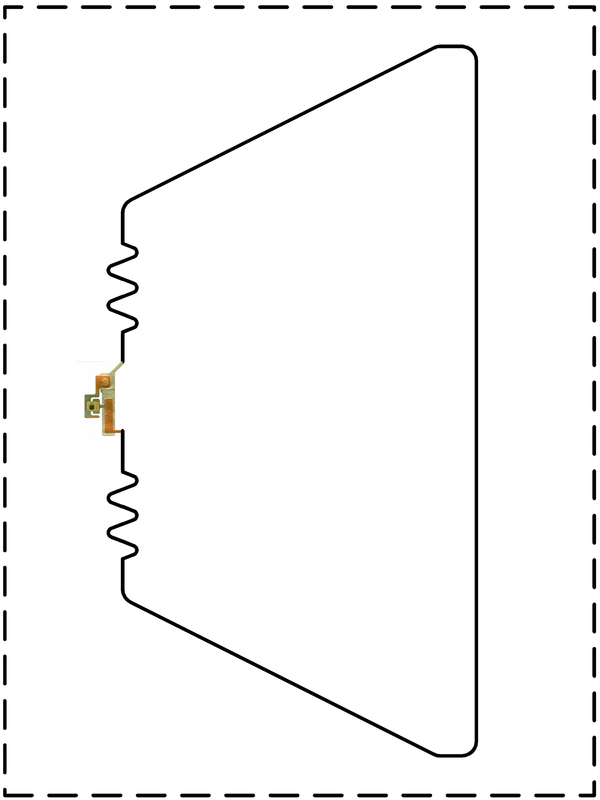 cStar's wireless frequency antenna designs comply with both FCC Regulations for LF: 125kHz - 134.2kHz open wound coil and HF: 13.56MHz wound loop configuration, both distinct etched. These design procedures provide a complete set of capabilities that transform every aspect of non-intrusive detection for Border Security and Supply Chain Operations and Safety. cStar's SkyGate® Cargo Secure solution represents a technology breakthrough that fully assists industrial, commercial, retail, medical and government enterprises with supply chain security and tracking, providing awareness of interference, intrusion or irregular manipulations of cargos by providing essential and crucial operating informational data for monitoring, cataloguing and controlling the supply chain. cStar's SkyGate® Cargo Secure solution also makes it an exceptionally efficient method for shipping companies to track and route their cargo. For security-sensitive industries (i.e., food and drug or high cost/volume product suppliers), SkyGate® Cargo Secure provides security and audit efficiency throughout the entire supply chain and provides product tracking and routing info that can help companies streamline shipping and guarantee the safety of their cargo.